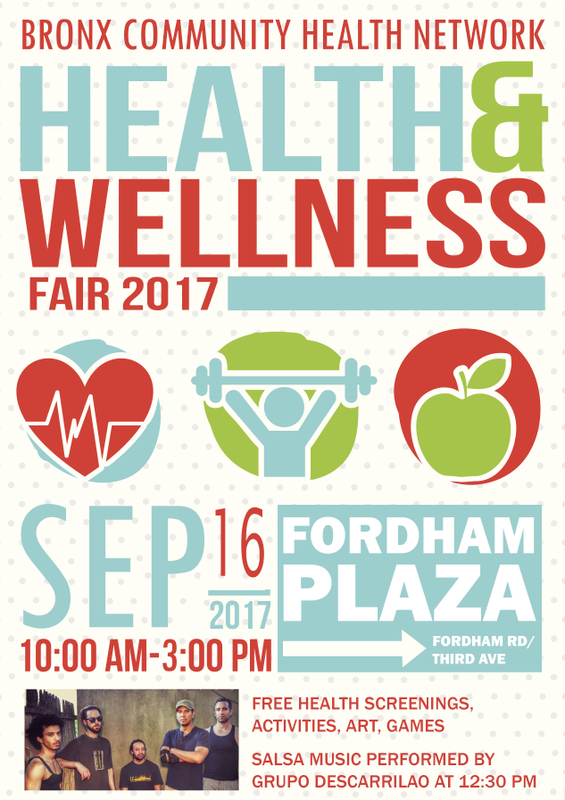 BCHN's annual health and wellness fair is taking place on Saturday, September 16 at Fordham Plaza from 10:00 AM to 3:00 PM. This free event will feature health screenings, activities, art, games and more. At 12:30 PM, salsa band Grupo Descarrilao will perform. From 9:00 AM to 10:00 AM, three free 20-minute Qigong Meditation Sessions will be offered to community residents, led by Kathryn Davis. 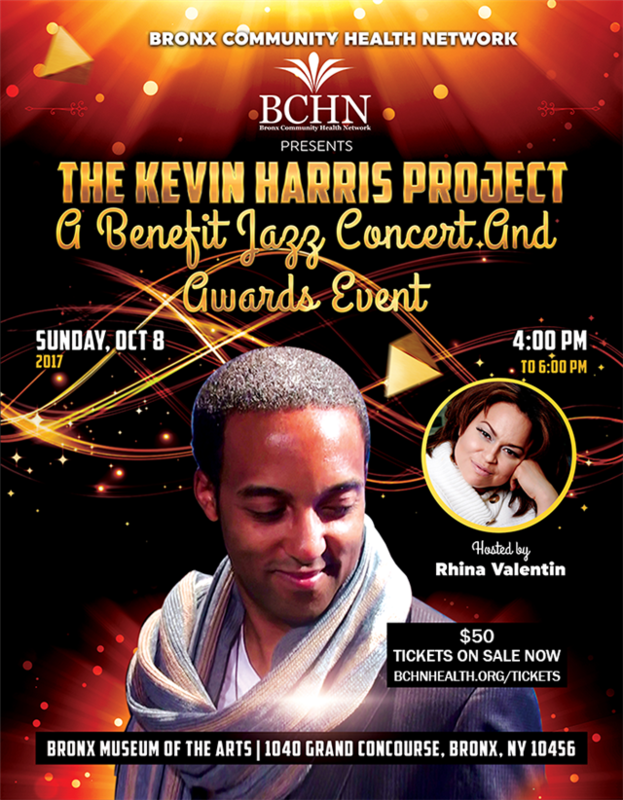 On Sunday, October 8 from 4:oo PM to 6:00 PM, BCHN is presenting a benefit jazz concert and awards event at the Bronx Museum of the Arts, featuring music by jazz trio The Kevin Harris Project. The program will be emceed by BronxNet's Rhina Valentin. Tickets are on sale now for $50 at Eventbrite.com. Note: Tickets will not be available at the door on the day of the show. Corporate, Gold, Silver and Bronze sponsorships are available. More details can be found here. Ad space is still available in the souvenir program book (think Broadway Playbill). Find out more here. The NACHC Com­munity Health Insti­tute (CHI) and Expo is the largest annual gath­er­ing of health cen­ter clin­i­cians, exec­u­tives, con­sumer board mem­bers along with Health Cen­ter Con­trolled Net­works and Sate/Regional Pri­mary Care Asso­ci­a­tions. A team from BCHN traveled to San Diego in late August for this year's event. 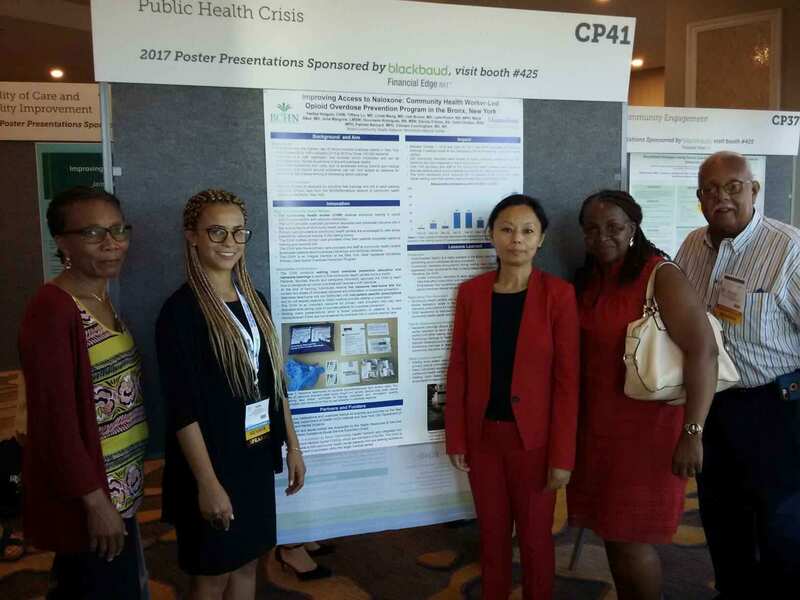 Pictured above are chief executive officer Eleanor Larrier, community health worker Yaritza Holguin, director of programs Tashi Chodon, Board member Marjorie A. Cadogan, and Board president Eduardo Alayon. The innovative Community Health Promotion and Education Program has become a Center of Excellence at BCHN. As the team continues to grow, it is also expanding its skillset. 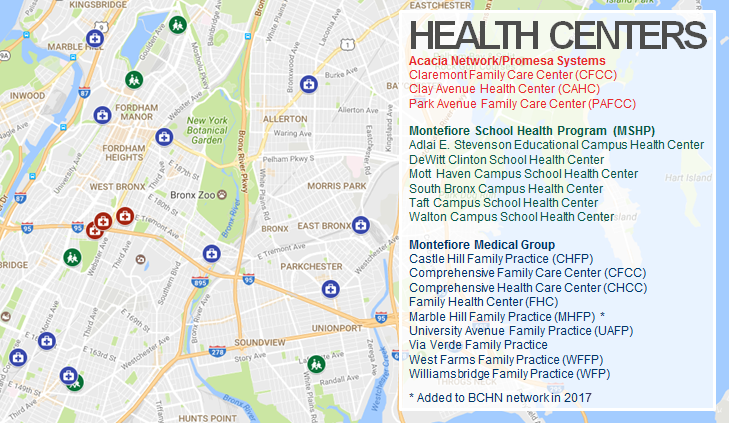 BCHN now has a total of five community health workers trained by the New York Immigration Coalition as Immigration Navigators. 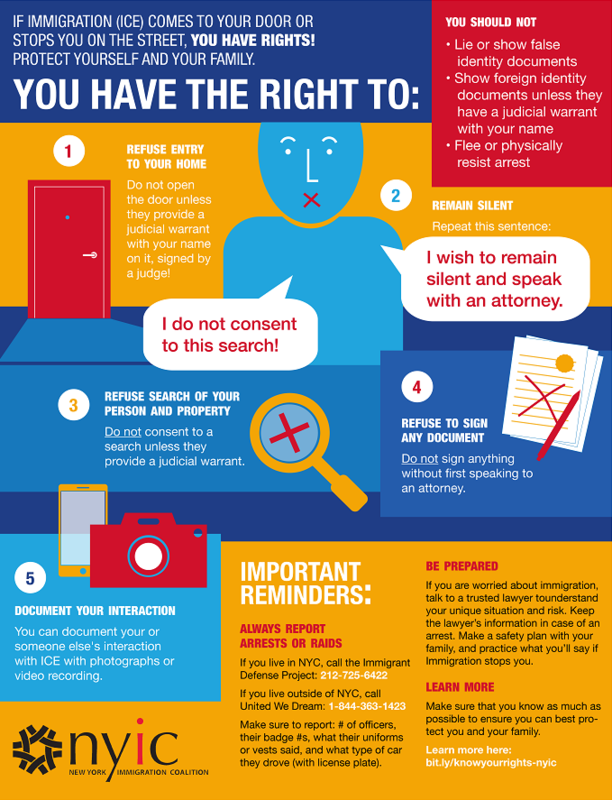 Immigration Navigators support the immigrant community with "Know Your Rights" training and guidance on navigating the immigration system. West Farms Family Practice patients and staff recently celebrated the completion of their first Diabetes Prevention Program (DPP). DPP is a yearlong program designed to help individuals at risk for Type 2 diabetes change their lifestyle to become more active and reach a healthier weight. The program is based on the National Curriculum for Diabetes Prevention, and is taught by a health educator. At the celebration, five patients received certificates of completion and recognition for their individual achievements in the program. With great enthusiasm, patients related their personal experiences in their journeys to better health. The celebration included a final taste of the dishes and healthy drinks patients learned to make through the year as they were educated about healthier eating, portion control and healthy food substitutes. Concepts taught during the year were printed on water bottles and buffet cards to remind the participants of the important factors in maintaining healthy weight and active lifestyles. 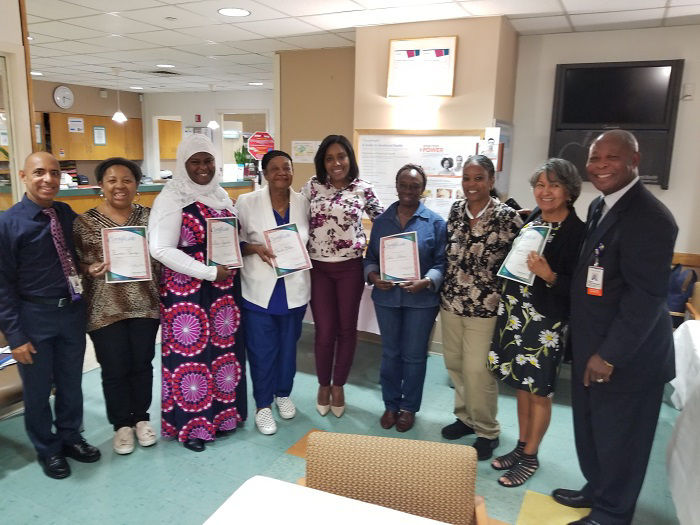 Pictured above with the patients are BCHN community health worker Pedro Gonzalez, Montefiore Office of Community and Population Health certified health educator Nereyda Franco, and West Farms Family Practice operations manager Jonas Attuh-Mensah. 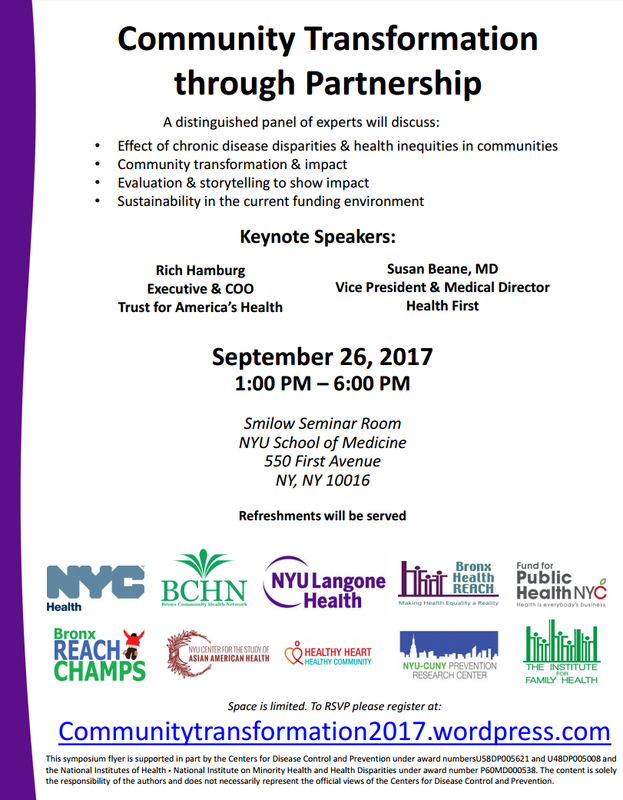 BCHN and the three other New York City grantees of the Center for Disease Control and Prevention's Racial and Ethnic Approaches to Community Health (REACH) and Partnerships to Improve Community Health (PICH) programs are coming together on Tuesday, September 26 from 1:00 PM to 6:00 PM for the "Community Transformation through Partnership" symposium. The goals of the symposium are to bring together diverse stakeholders to explore strategic partnerships to foster sustainable community transformation to achieve health equity. The event features stakeholders from community-based organizations, health, policy makers and advocates, nonprofit groups, academic institutions and governmental agencies across the country. The symposium is organized and co-hosted by BCHN, the Center for the Study of Asian American Health at NYU School of Medicine’s Department of Population Health, Institute for Family Health Bronx Health REACH, and the NYC Department of Health & Mental Hygiene. The keynote speakers will be Rich Hamburg Executive & COO Trust for America's Health, and Susan Beane, MD Vice President & Medical Director Health First. On Tuesday, November 28 ("Giving Tuesday"), BCHN is throwing a tea party, but there's a twist! Rather than asking you to get a babysitter, dress up, and listen to speeches, we provide the tea and you enjoy it at your convenience. 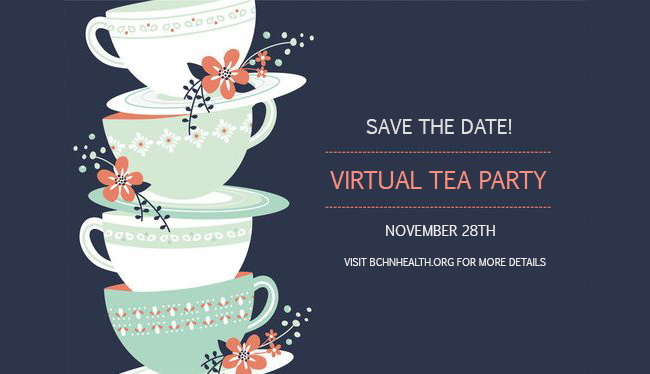 So mark your calendars for the BCHN Virtual Tea Party fundraiser! 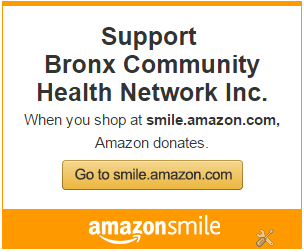 Donations can be made any time on the BCHN donation page.